Mice and are all cute and fuzzy, until they decide to move in and trash your car. Build a better mousetrap, they say, and the world will beat a path to your door. But should that mousetrap be constructed of, let’s just say, a 1995 Toyota Camry, what then? See, there has been a bit of a mouse population boom on Rusty Metal Farm this past year. Before this past summer, as far as I know, there had never been mice in my house. If there were, they were well-mannered, polite mice who kept quietly to themselves. But last year their rude relatives moved in and began ransacking my pantry, scuttling around basement shelves in plain view, taunting my cats, feasting on birdseed and generally making a visible nuisance of themselves. The aforementioned cats did little to stem this mousy tide, ditto the dozen or so mousetraps I set around the house. I was finally forced to call in the big guns — professional exterminators who set out several black boxes containing feed accessible — and, more importantly, fatal — to the mice. For awhile, it appeared it had worked. Little did I know the mice had moved into stealth mode and, even as I enjoyed my mouse-free home, were hard at work plotting revenge for their fallen comrades. They had all autumn to execute their plan that centered on my 1995 Camry — a car that despite its age looked and ran great. So much so I never saw a reason for selling it, even though I have a newer vehicle I regularly drive. More to the point, due to its age the Camry had achieved that sought-after, albeit odd, bicyclist status of being worth less than any bicycle I loaded onto the rack on the trunk. Regardless, the Camry had sat idle for several months next to my garage until November, when I decided to register it, purchase a shiny new battery, put the snow tires on and get it ready for a friend to borrow. All went according to plan until the trunk was opened, revealing what had to be the largest mouse nest in the history of in-car nests. Whatever space in the trunk was not taken up by the nest was occupied by a massive pile of seeds, nuts and shells amassed by the mice. I did not see this firsthand; it was reported to me by two friends who had kindly offered to put the snow tires on the car for me. They also described the sight of a dozen or so mice running away from the trunk toward the back seat of the car. My friends then checked under the hood, where another batch of mice were cavorting around the engine. Further inspection revealed air filters, hoses and numerous other nooks and crannies packed with nesting materials and food. It’s a wonder the car even started, they told me, much less made it the eight miles to town. Impressive as that was, I was more impressed by the fact my friends actually got back into the mouse-infested car and drove it back to my house. Registered, inspected, new battery, covered in snow and home to who-knows how many mice. Because, you see, other than the 100 or so feet I drove it from the garage to its current resting spot I am never, ever driving it again. In the brief time between arriving home after the snow tire installation and my moving it, the mice had already started building a new nest, so I know they are still in there. I’m really not sure what horrifies me more — the thought of what the car’s interior will smell like once the heat is cranked up or the spectre of a gang of mice running over me as I drive down the road. There’s also the very real possibility the mice have done damage to crucial components like hoses that carry brake and transmission fluids. Or chewed through wiring. Certainly there are things that can be done to keep mice from setting up housekeeping in cars to begin with. 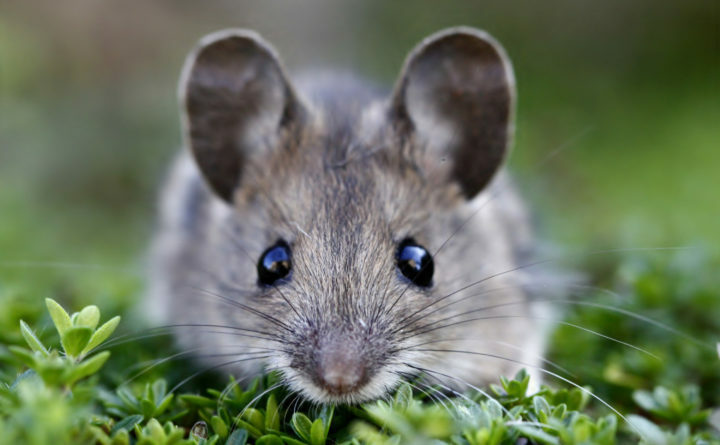 These include making sure to not park your car in areas of high grass, which are prime mouse territory, keeping the inside of your car clean of crumbs or food that could attract them and stashing scented dryer sheets in strategic locations, as the smell acts as a mouse repellant. I’ve talked to mechanic friends and people who detail cars for a living and, sad to say, it’s really too late for the poor Camry. I’m not about to drive around with a family of mice riding shotgun. It would take hundreds of dollars — maybe more — to fully inspect and fix any damage that has been done. Not to mention the cost of de-mousing the seats and other areas where they have been nesting. As for the smell? It’s likely there for good. The consensus has been to drag the car out back and set it on fire. I’m really not ready to do that, but I am tempted to contact the U.S. Patent and Trademark Office and register the Camry among the 4,400 other existing mousetrap patents. After that, I shall await the world to beat that path to my door.